Champions League | Have the Premier League sides fared almost as expected? Virgin Media Sport, the new home of European football in Ireland. When we previewed the Champions League groups for the Premier League teams at the start of the campaign, we tipped all four clubs represented to qualify from their groups. But have the Premier League sides fared as we expected? Not quite and in some cases, they've under-performed. Man City were pitched into a group with Hoffenheim, Shakhtar Donetsk and Lyon which they were expected to breeze through. 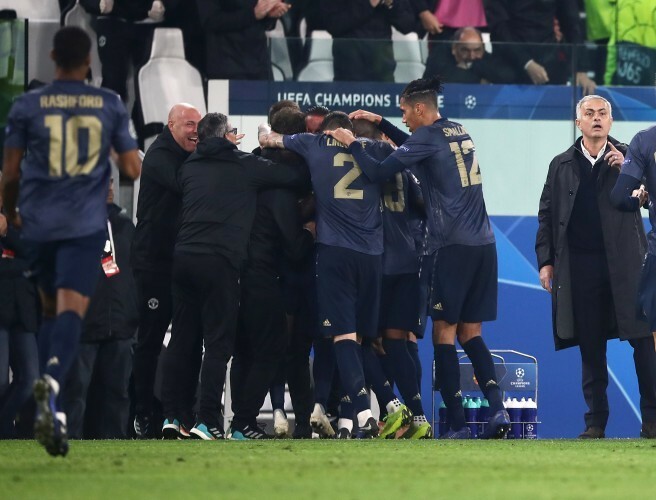 But while they could have been a realistic bet for at least 16-18 points in the group, they started off in the worst way with a surprising 2-1 loss to Lyon on their own patch. They've since bounced back, rattling off wins but that loss and a couple of unconvincing moments should be a warning for a club with clear ambitions of claiming Europe's premiere club trophy. I had tipped Manchester United to finish second in their group and they remain on course for that. But that wasn't looking a very solid prediction on 84 minutes in Turin. But Jose Mourinho's side scored two late goals to move two points clear of Valencia who they still need to visit at the Mestalla. Just goes to show that often football can be defined by moments as Man United would know from the Nou Camp in May 1999. Given that PSG are in transition under a new manager and have many egos in the squad, I expected an improved Liverpool to top their group ahead of both the Parisians and Napoli. As it stands, the Reds are still vying for a place in the last-16 but while a loss away to Napoli might fall under the possibly acceptable bracket, the mid-week 2-0 loss to group minnows Red Star Belgrade was unexpected prior to kick off and leaves Liverpool precariously perched before they face PSG away and a wily Napoli at home. Inter Milan were somewhat of an unknown quantity in the sense that they have made quite a few, albeit, talented acquisitions. With the Nerazzurri in transition and sometimes unpredictable, a more stable Tottenham would have been expected to challenge more closely for qualification. And while their win against PSV in mid-week has given them a glimmer of hope, a defeat at home to Barcelona and at Inter as well as the draw at PSV in the first three games, left them with an uphill struggle and leaves them most likely to be the only Premier League side to miss out on the knockout stages.